Make a weekend of it! 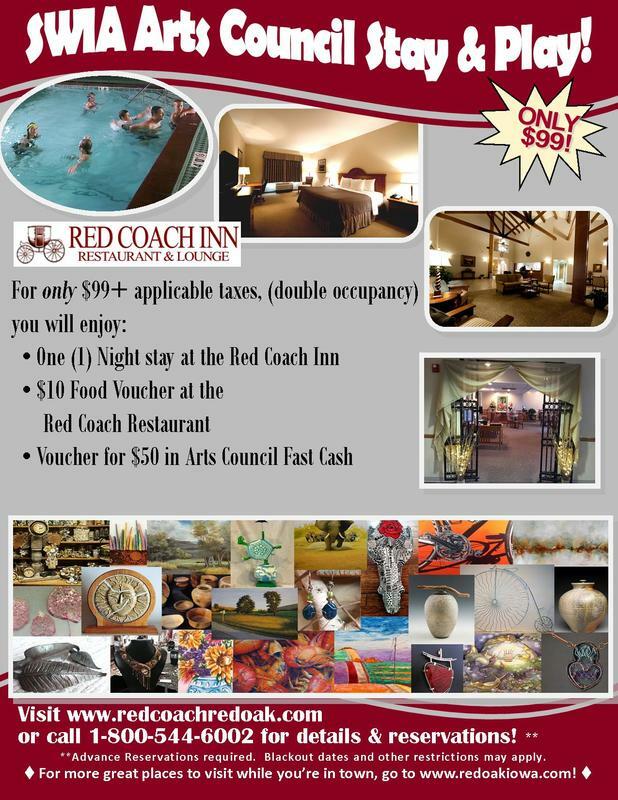 For only $99 you can spend the evening at the Red Coach Inn in Red Oak, Iowa - have a great dinner AND get some spending cash to attend a performance at the Wilson Performing Arts Center or support local artists! 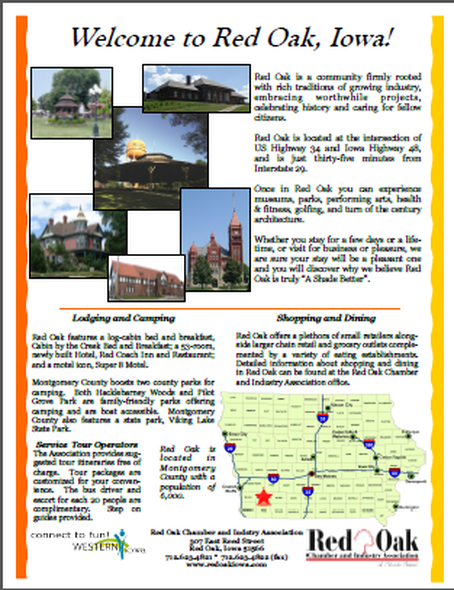 Call 1-800-544-6002 to book your adventure!